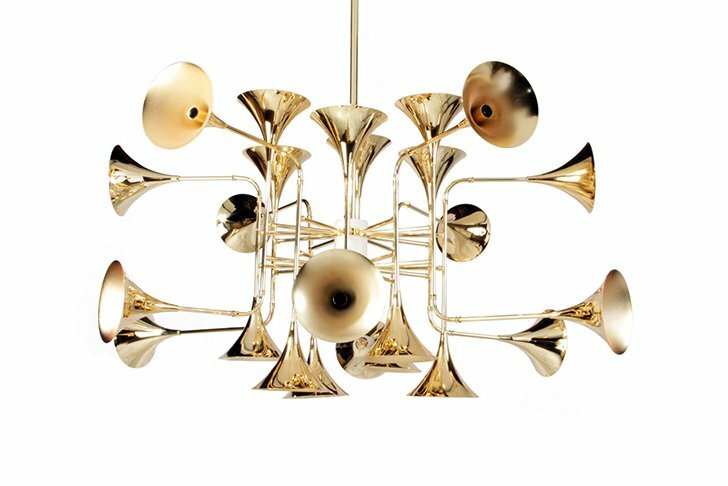 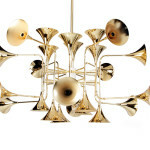 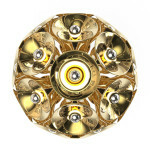 The beautiful Botti Pendant Light weights 7.7 lbs and has a brass body that appears like a trumpet explosion that gives off light in all directions. 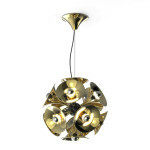 While the bells are made in a fashionable black nickel, they also come in other mirrored finishes including gold and chrome. 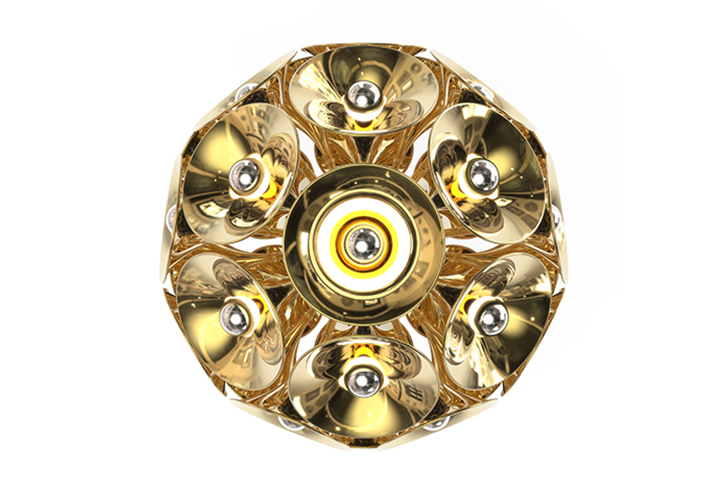 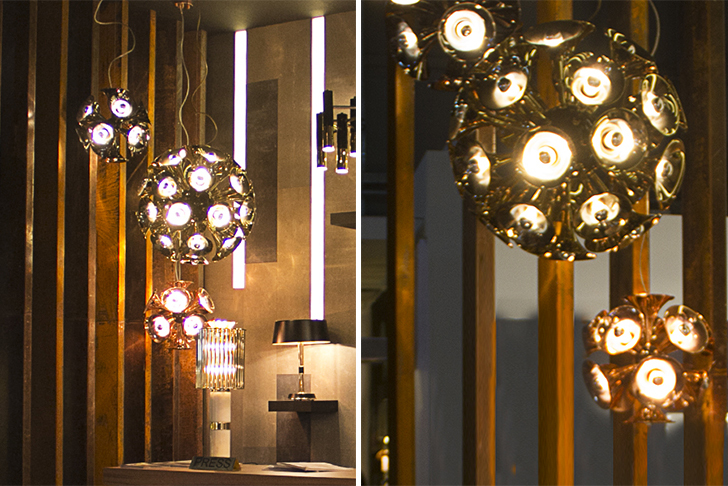 The lamp is designed to use 12 Edison bulbs, but there is also a larger version, the Botti Chandelier, that supports more wattage with room for 24 bulbs. 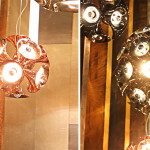 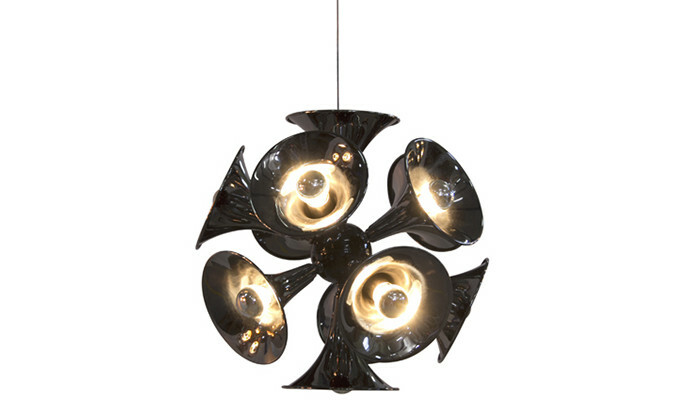 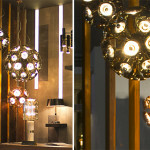 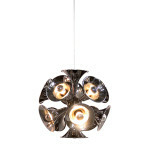 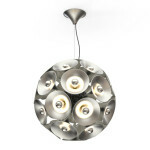 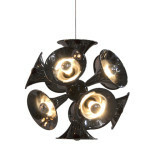 More information on this design, including how to purchase a pendant, can be found on DelightFULL’s site here.